The Celestron Smartphone Adapter is small, lightweight, perfect for travel and it quickly changes between viewing and photography. You can have quick and easy connection from your smartphone to telescope for instant photos of the Moon, planets and more. This smartphone adapter is custom-fit to Celestron's X-Cel LX eyepieces and your Samsung Galaxy S4. 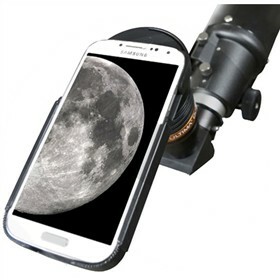 The Celestron Smartphone Adapter has many exciting features for users of all types. 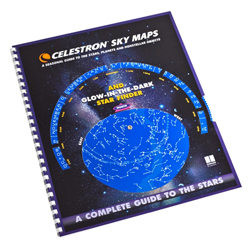 FactoryOutletStore stocks a full line of accessories like Celestron LensPen - Optics Cleaning Tool, Celestron Night Vision Flashlight, and Skymap for the Celestron Smartphone Adapter. The Celestron Smartphone Adapter is sold as a Brand New Unopened Item.